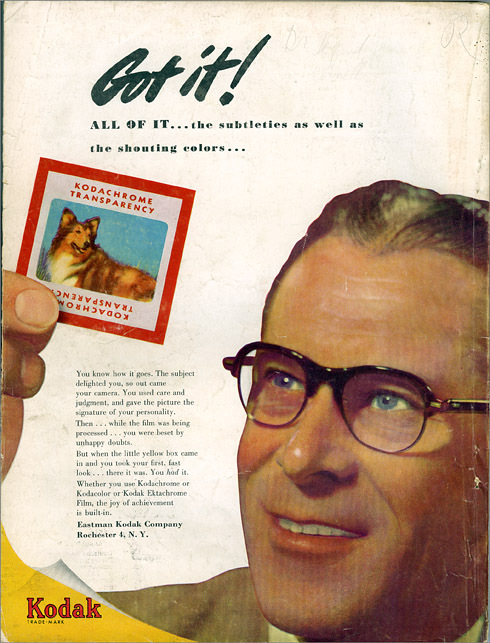 Silverbased | Kodachrome: Shoot It Now! 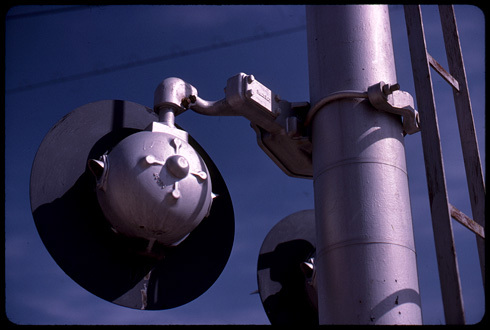 Kodachrome requires a complex and difficult process called “K-14″ —completely different from the E-6 developing used with all other slide films. Other color emulsions include the chemistry to produce color dyes within the film itself; but with K-14, each color layer must have dyes added to it during processing. (This raises the image in slight relief on the emulsion side, which is a useful way to ID unlabeled Kodachromes.) Balancing all the K-14 steps correctly is quite tricky—hence the worldwide consolidation of K-14 processing down to one final lab. So, this year is your last chance to shoot Kodachrome. Dig around in the back of the freezer; check the bottom of your camera drawer. If you have any rolls remaining, shoot them soon—or give them to someone who will! Will our hard disks and flash drives still be accessible in 2076? 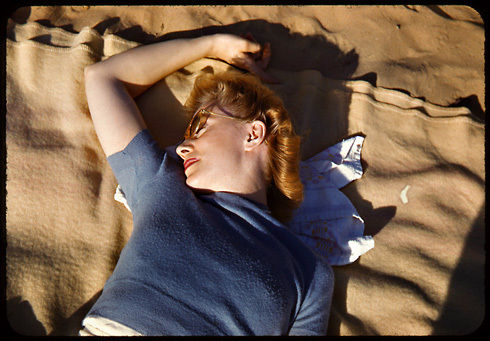 Kodachrome photos you shoot today will stay colorful and accessible for decades to come—and anyone can discover the images, just by holding them up to the light. If there are people or scenes in your world that you’d like to commemorate for the ages, Kodachrome is your film. If you miss the December 2010 deadline, there’s no way to develop Kodachrome into a color positive after that. However you may be able to salvage some visible image by developing it using black & white negative chemistry. Apparently there are a few complications to doing this, and I’ve got no firsthand experience with it. But I’ll report back if I get around to trying it. Just to clarify, what Dwayne’s developed was a roll shot by photographer Steve McCurry. Working with National Geographic, McCurry had made special arrangements to receive the final roll to come off Kodak’s Kodachrome production line. 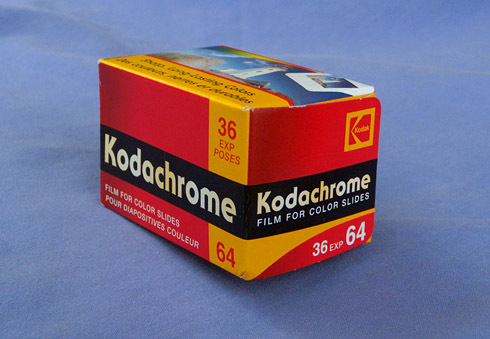 As was widely reported this week, (NY Times, or CBS Sunday Morning), the end has come for Kodachrome. The only remaining K-14 processing line in the world at Dwayne’s Photo was besieged by orders in the final days leading up to yesterday’s deadline. There was no eleventh-hour savior or sudden change of heart: Dwayne’s was truly down to their last container of certain key chemicals. Dwayne’s itself is not shutting down, as some have erroneously assumed. Among other services, Dwayne’s contracts with Fujifilm USA to provide mail-out processing of E-6 slide films. For remaining Kodachrome rolls that missed the deadline, there may be a slender thread of hope: A private individual has saved one small-scale Kodachrome processing line from the scrapyard. 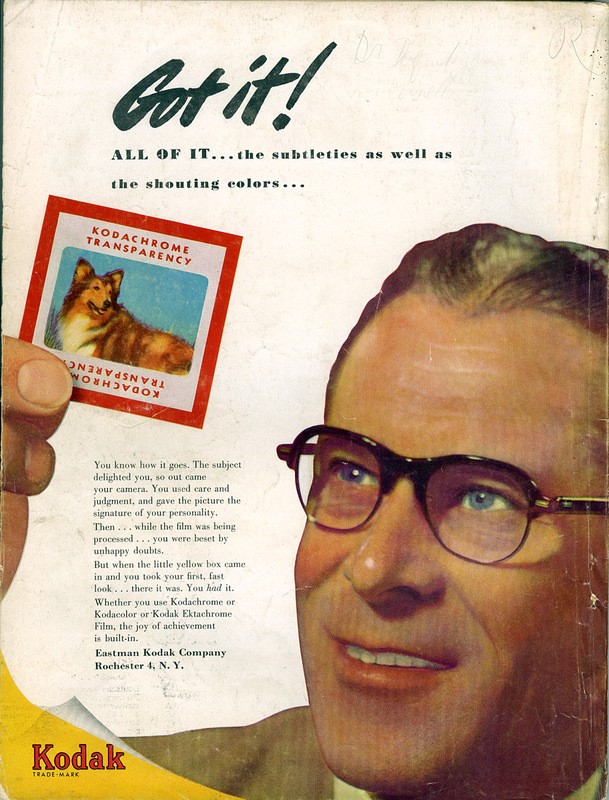 But I must say, I am skeptical that its owner will find it possible to reverse-engineer the proprietary dyes that are the heart of Kodachrome processing.